When it comes to superhero movies, the fun doesn’t stop when the credits roll. 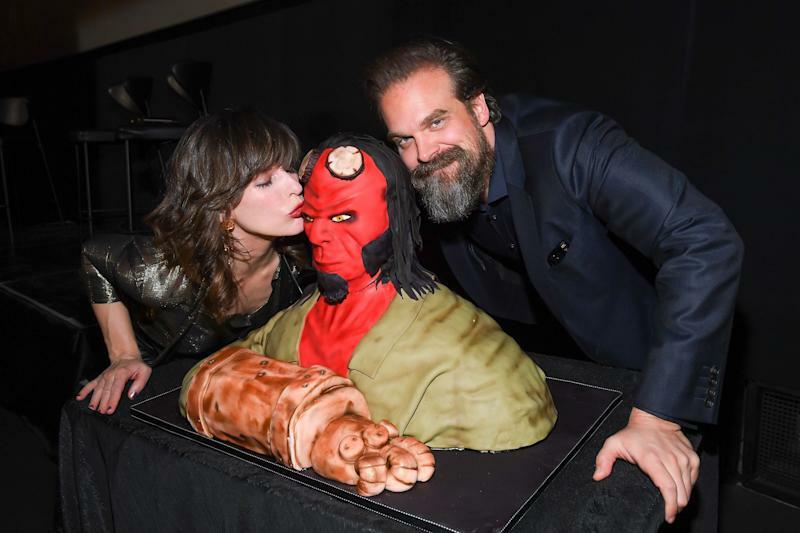 And the upcoming reboot of Hellboy is no different: three different scenes at the end of the film set up potential sequels to the new movie, which stars Stranger Things’ David Harbour as the hero from hell. Yahoo spoke to Harbour to break down the scenes cinemagoers should stick around for. Be warned, there are spoilers ahead. “The film sort of has three things at the end of it, if they want to extend this,” he explains, on the way three fan-favourite characters from the Hellboy graphic novels are introduced to set up potential further adventures in the Hellboy universe. The first of which comes pre-credits, at the end of the film, and is set in Siberia. “There’s the scene in the glass container, with the hand,” points out Harbour. The gang discover a water tank labeled ‘Ichthyo Sapien’. Fans of the series will know that this refers to the character Abe Sapien, an aquatic empath, who was played by The Shape Of Water star Doug Jones in the 2004 and 2008 Guillermo Del Toro-directed movies. 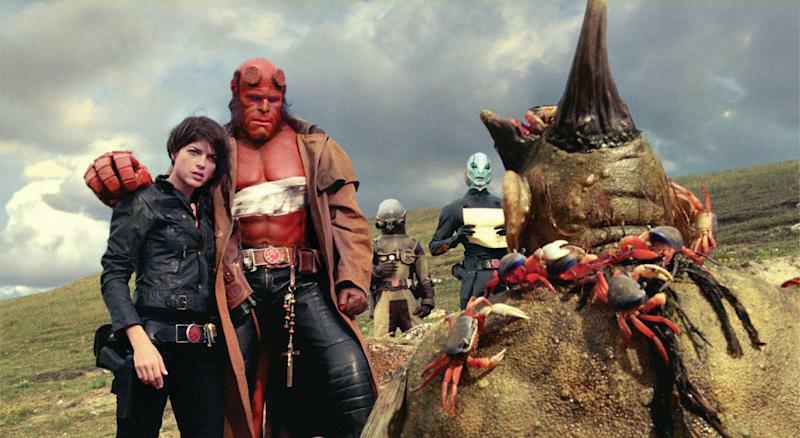 In a mid-credits scene, we see Hellboy meet – and fanboy over – vigilante hero The Lobster, played by Thomas Haden Church. “There’s a specific character in the film that only appears very briefly, but we ended up doing a little thing with him at the end,” says Harbour, on what it was like to film his post-credits tease. A further post-credits scene (“There’s one without me,” confirms Harbour) takes us back to the horror-filled home of witch Baba Yaga, who features earlier in the film, and sets up a further adventure for Hellboy in a later film. Lionsgate hasn’t announced official plans for sequels to the new movie yet, although producer Lloyd Levin has said in an interview with Collider that planning for sequels has already begun “in a vague sense”. Hellboy is in cinemas now.